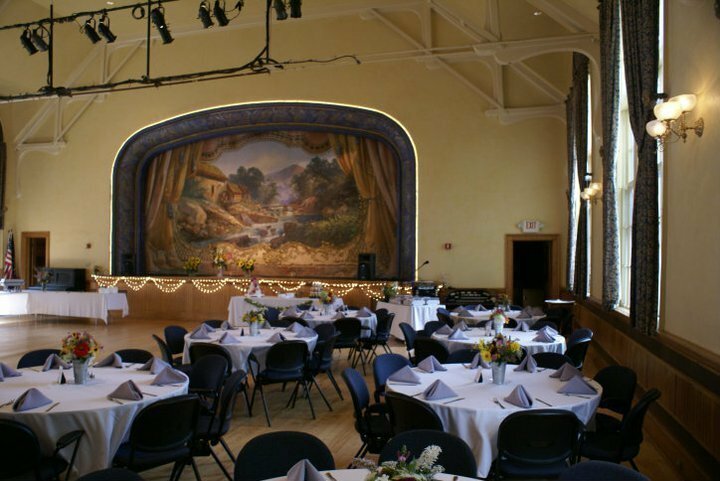 The Vergennes Opera House offers an uncommonly unique space in which to hold events of almost any description. Our flexible seating makes it possible to accommodate a wide range of functions. Our acclaimed restoration of the 1897 theater creates an elegant yet welcoming ambiance that is also fully heated and air-conditioned. Our superb acoustics add to the clarity and definition of any program. And we offer onsite consultation, every step of the way to ensure the success of your special event or occasion. In addition, the opera house maintains an active list of many area artists, craftspeople, and businesses. We also offer a reasonable schedule of fees for in-house services related to event production including ticketing, marketing and public relations. Please email us at info@vergennesoperahouse.org to connect with our rental committee and to discuss all the possibilities. You may also leave us a message by calling 802-877-6737.